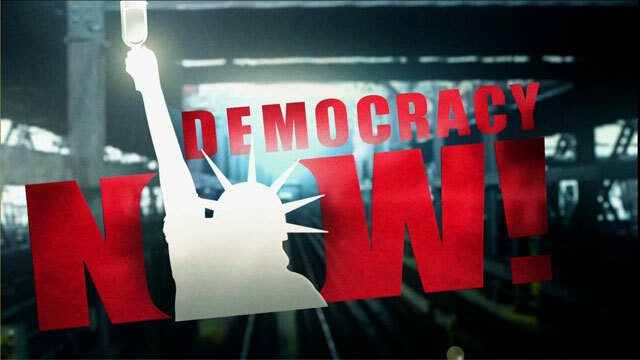 Zapatista Conference | Democracy Now! This weekend in Chiapas, the Southernmost state of Mexico, thousands of progressive activists from around the world are gathering for a conference sponsored by the EZLN, the Zapatista National Liberation Front. The Zapatistas burst into the headlines on January 1, 1994, the day the North American Free Trade Agreement between the U.S., Mexico and Canada went into effect. Through brief armed struggle and mostly grassroots organizing, they have drawn international attention to the plight of indigenous people of Mexico. This week’s conference is called, “an international meeting in favor of humanity and against neoliberalism.” Neoliberalism is the doctrine of free market, transnational corporate control that the U.S and World Bank are imposing on developing nations, a doctrine many say is hurting the poor all over the planet. About 250 people from the states are expected to attend the week-long meeting in Chiapas, many of them young people who have been inspired by the Zapatista movement and have organized support groups for them in this country.